Broadcast media has revolutionised the way customers perceive content, news and information in this digital age. 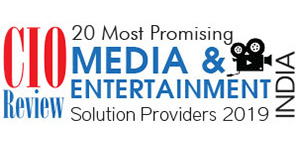 Furthermore, the advent of satellite channel and delivering content ranging from news to films,TV programmes and more has several researchers predicting an astronomical growth percentage in this sector. Despite the prediction of a phenomenal growth, new age broadcasting has become increasingly complex with broadcasters being required to juggle their resources and priorities between and within their linear and non-linear businesses. Cinthamani Computer, headquartered in Chennai, has been delivering a comprehensive suite of innovative solutions and services over the span of 25 years in the broadcasting domain well before the current trends took over this market.The company facilitates clients with its end-to-end solutions to the broadcasters from Production to Playout. The company’s proven track record speaks volumes about the company’s past working exposure and success rate. 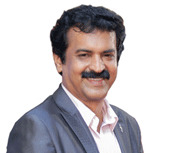 “Our experience of being a strategic solution partner to leading broadcasters, has enabled us to build a deep understanding of their changing business needs and provide them with innovative solutions and services, helping them meet more than their expectations,” says Ravi Sockalingam, Founder and Director of Cinthamani Computer. Assisting broadcasters to successfully deliver content to its audience, Cinthamani’s playout solution Playcast Pro is essentially a channel-in-a-box solution with integrated CG, Clip Trimming, Streaming, IP out, and it supports multi-format, multicodec playout from a single playlist. The fully automated playout permits switching between Live to Disk playout and vice versa either in auto or manual mode. In addition to these features, Playlist Schedules can be prepared for any number of days where it automatically gets loaded as per the schedule. Keeping up with the current customer expectations, the team provides a web based, enterprise ready software platform built by Primestream. The platform called Xchange offers single and multisite operations global access to their content and workflows. “With the platform, client users now have access to a powerful set of tools anywhere they have Internet access. Multi-site users can utilize the very same platform for transferring media, leveraging the latest enhanced file transfer technology at incredible speeds,” explains Ravi. Understanding the challenges of geographically dispersed customers, the platform extends workflows to remotely connected users and facilities which in turn streamlines operations and reduces the time and cost of producing content. 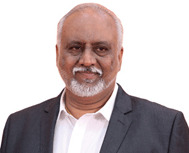 “Users see direct benefits through ease of operation, increased quality of service, increased speed of workflow and added functionality in remotely connected environments,” informs a proud Ravi. A force to be reckoned with, the team at Cinthamani has geared up for the future and envisions to continually innovate.